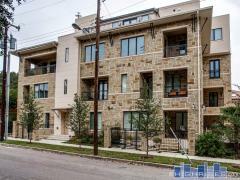 Crestpark Condos of Highland Park, TX | 4242 Lomo Alto Dr.
Crestpark offers convenient, in-town highrise living with Highland Park schools available to some units. That's a valuable combination that's sure to keep this building popular for years to come. Enjoy the convenient location with many of the restaurants along Lemmon within walking distance. The giant Whole Foods Highland Park market is practically next door. Have any comments or questions about Crestpark Condominiums? Ask your question and/or share your thoughts about this Building. Any 1 or 2 bedroom rentals available?